The idea for THE DISAPPEARANCES began when I imagined magic as a glittering dust I could hold in the palm of my hand. I started thinking: what if this magic somehow illuminated some of the wonder and beauty that already exist in our own world? And what if those things then systematically started to disappear? 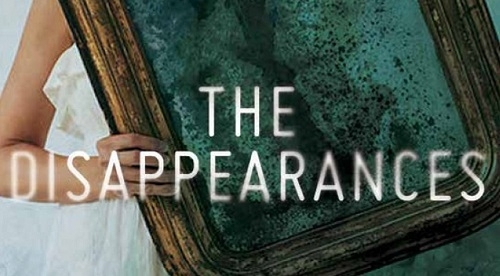 I think the cover designer did such an amazing job capturing the atmospheric tone of THE DISAPPEARANCES. I get the most lovely sense of melancholy, mystery, and magic from it. And that is really what the heart of Aila's story is about--what it means to find beauty, hope, and magic in the world even after losing someone to death, the most formidable Disappearance of all. I couldn't be more excited to share the cover reveal with you today, and I hope that you love it as much as I do! Every seven years something disappears in the town of Sterling: reflections, dreams, colors, stars. When Aila Quinn arrives, she realizes why her deceased mother, Juliet, never spoke of growing up there—the town is cursed to lose the experiences that weave life together, and the theory is that Juliet is to blame. knees; and William, whose pull on Aila’s heart terrifies her. To learn more about this book and see our review, click HERE. Emily Bain Murphy grew up in Tokyo and Hong Kong, graduated from Tufts with a major in creative writing, and now lives in San Francisco with her family. She has been published in the Indianapolis Star and Indianapolis Monthly Magazine. 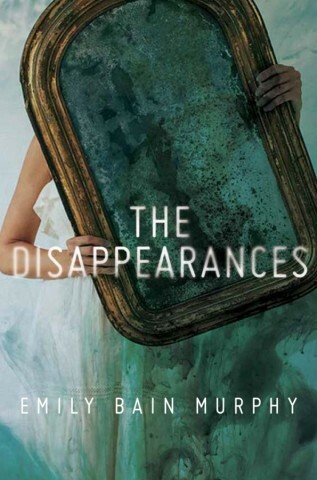 The Disappearances is Emily's debut novel. Three winners will each receive an ARC of THE DISAPPEARANCES, when available. The book sounds quite intriguing! ANd I love the cover, it's a great blend of eerie and pretty! The book looks so interesting, almost in a scary kind of way! From reading the synopsis I can tell I'll love this one! The cover is creepy but not in an off-putting way--more in a "tell me more!" kind of way. I like any story that has to do with random, unexplained disappearances. They always make the best page-turners. The Disappearances sounds like a good read! Thank you ♡ I think the cover is mysterious. I love rusted colors and the summary! Perfect for Halloween! The cover for this is mysterious and the book itself sounds intriguing! Can't wait to read this one! I love this cover. It fits the eeriness of the plot perfectly. The cover and synopsis are very intriguing. Oh this book sounds really interesting! And the cover is beautiful! I really like the cover and the book sounds so good! 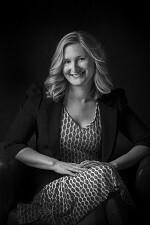 Author Chat with Emily R King (The Hundredth Queen) Exclusive Excerpt, Plus Giveaway!